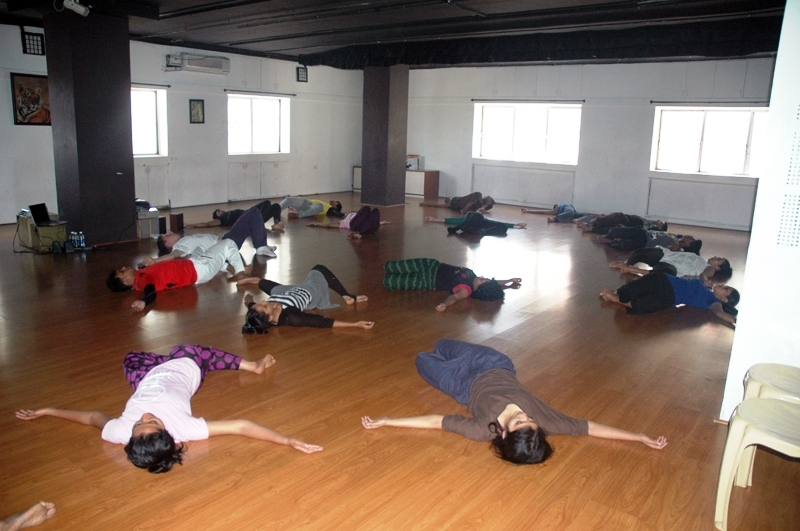 Scottish Dance Theatre with Nritarutya! 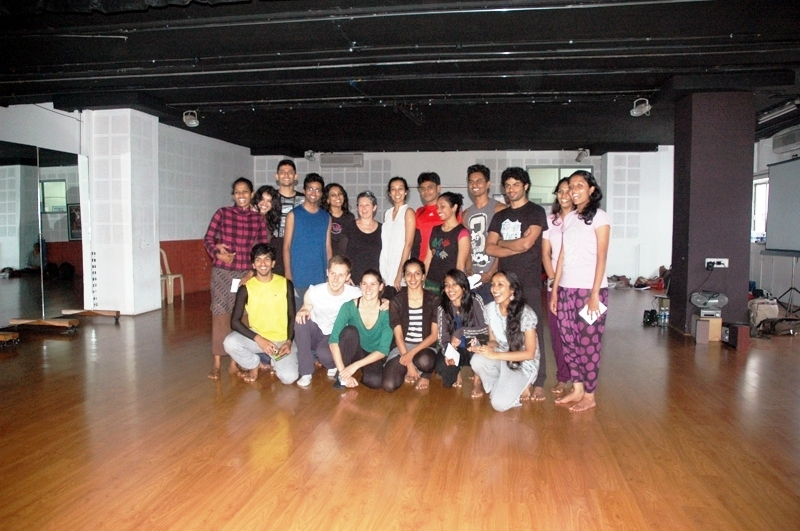 Sally Owen, Assistant director of Scottish Dance Theatre along with company dancers Eve Ganneau and Matthew Robinson conducted a dance workshop for Nritarutya on October 26, 2012. 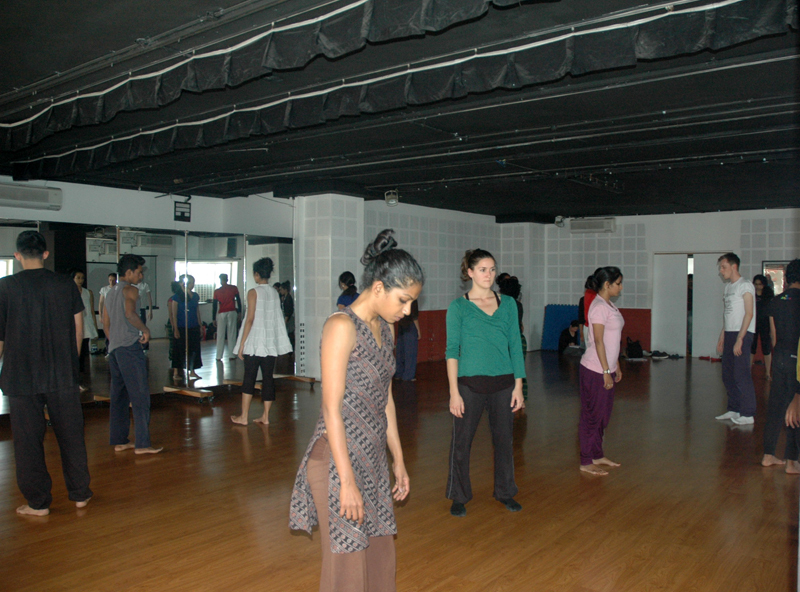 Sally began with a discussion regarding the choreography process of the three dance pieces – “Drift”, “Dog” and “Luxuria” that they had performed the day before. 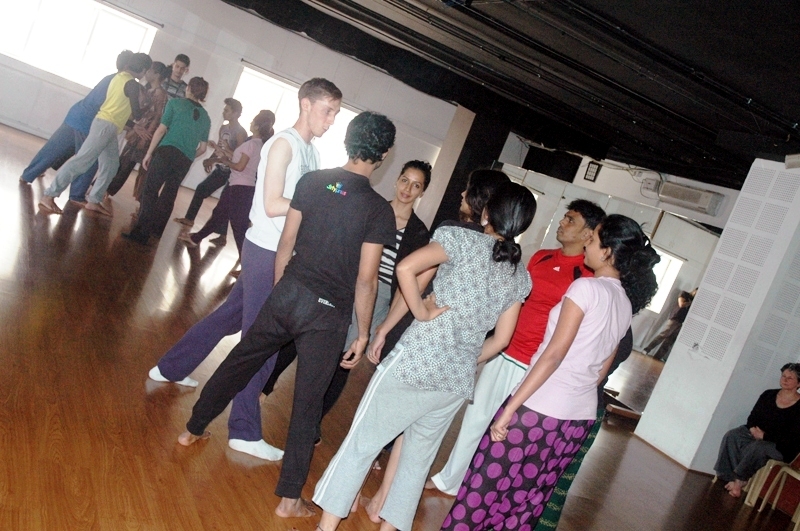 This was followed by Eve and Matthew teaching floor work, contact improvisation, and body movement awareness to the dancers. 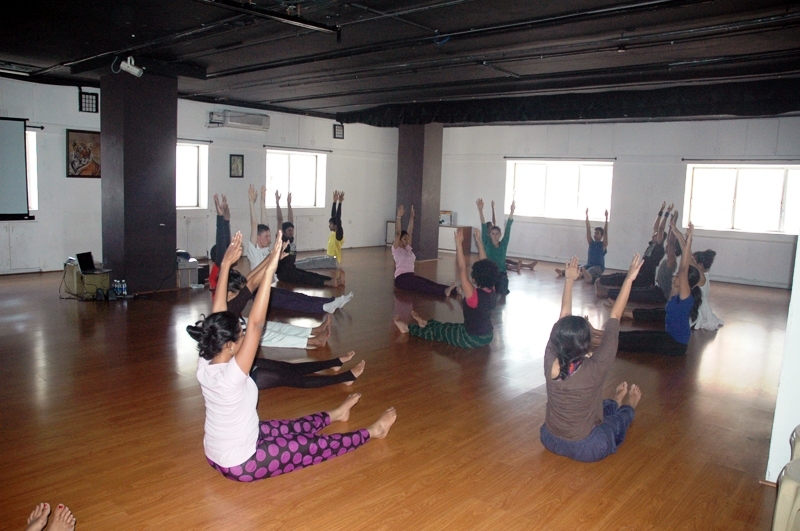 Accompanied with lilting music, the workshop was technically enriching. What was so interesting was the simplistic method of teaching in an easy to understand language, devoid of technical jargon. Looking forward to meeting them again!